On Saturday and Sunday, Stanford will host its annual invitational, welcoming crews from Hobart College, Oregon State, Santa Clara, UC Davis, Wisconsin and Cal. The teams’ hard work and training over the winter recess have served them well, as both have taken their premier races by storm. There’s nothing better than good, old-fashioned revenge — except, perhaps, that revenge coming in the form of a national championship. Just a week after placing second to Washington in the Pac-12 Championships, the Cal women’s crew team was able to put together a stellar performance that was just enough to land it its fourth NCAA team championship. Two years after being crowned national champion at Lake Natoma, the Cal’s women’s rowing team will head to Sarasota, Florida, to compete in the 22nd annual NCAA Rowing Championships regatta. The Bears have earned a spot to every NCAA Championships since 1999, and they have taken home three victories over those 19 years. After both the men and women began the season with sweeps at their first regattas of the spring season, both of them took first in every race at last weekend’s Big Row versus Stanford. The 85th annual Big Row will take place Saturday morning, as Cal and Stanford will look to stay stroke for stroke in Redwood Shores. Cal still remains one of the best rowing schools in the nation and will have plenty of chances to make their way back to the top. While Washington holds the all-time series record in both men’s and women’s departments, Cal rowing has literally been unbeatable this year. 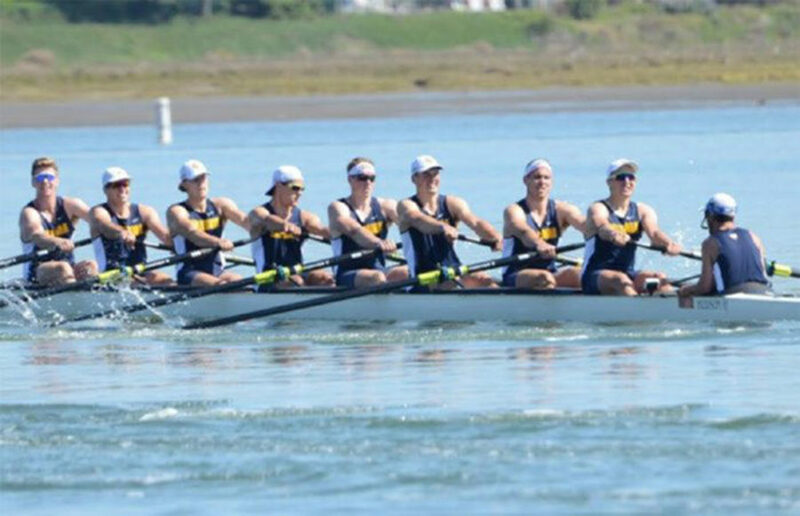 You might have heard this one before — both of Cal’s rowing teams swept the field over the entireties of their respective tournaments.